Technology changes the world at a fast pace. On August 6th 1991 the internet became publicly available through the World Wide Web. A new technology which would fundamentally change the world as we then knew it. Today we see over 3.8 billion users or just over 50% of the world’s population; a number which is growing every day. Societies and individuals can benefit in all manner of ways through access to knowledge, people and organizations on a local and global level. More than that, digital has become a must-have, for people, society and the economy. Indeed, digital technology fosters innovation. Online platforms, e commerce, social media, artificial intelligence, data analytics, robotics and the internet of things (IoT) are further expediting this process by hyper-connecting individuals, organizations, communities, societies and data, with tens of billions of objects and entities. Unfortunately, the Internet is not immune to evil. Breaches of norms and values are also occurring in the online and cyber worlds, ranging from fraud, identity theft, bullying and other forms of personal harassment or exploitation through to malign social engineering, phishing and hacking attacks which can threaten key networks and even entire nations. Fairness, transparency and accountability dictate that any victim, – whether individual, organization, society, nation or even democracy itself – which suffers from these issues should be able to address those responsible and to secure meaningful, effective redress. However, we are in a position today, in this Digital Age, where ongoing technological developments have outstripped our policy-making capacity, standards-setting and legal frameworks. I4ADA, in pursuit of its mission of helping the world derive maximum benefit from the internet, is dedicated to helping create a fair and balanced framework of best practice and, where necessary, regulation. 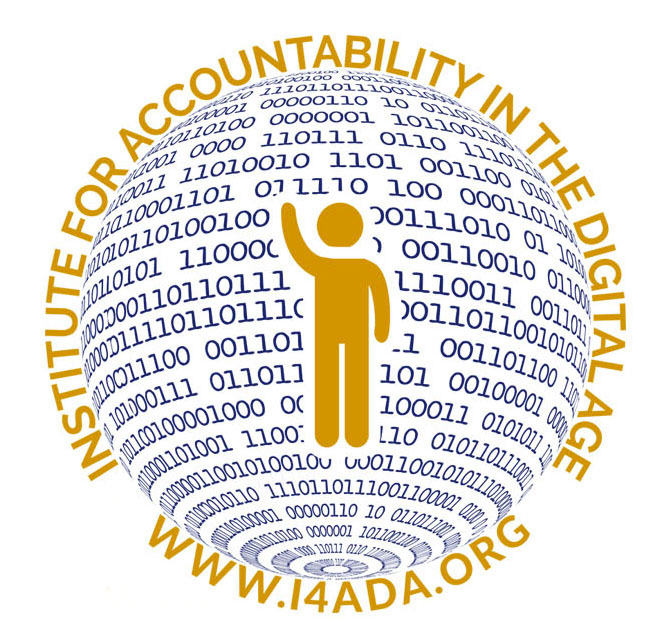 I4ADA will pursue its objectives by building ongoing dialogue, both structured and informal, among participants in the internet environment. By building and maintaining a network at national and international level bringing together stakeholders and organizing activities, meetings and congresses to highlight, support and facilitate accountability nationally and internationally. These stakeholders represent participants from civil society, academia, the business technology community, lawyers and policy-makers. The I4ADA is established as a non-profit foundation under Dutch law. It is governed by its ‘Code of Rules’ and the I4ADA Board of Directors’ Code of Conduct. The I4ADA structure reflects the principle of transparent leadership and control, while ensuring openness, participation and equality for business and associates members, who support the I4ADA financially. 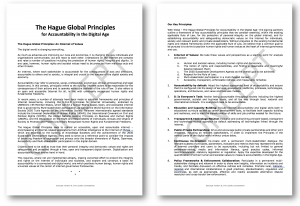 The concept of the ‘The Hague Global Principles for Accountability in the Digital Age’ (THGP) were drafted by the Institute for Accountability in the Digital Age (I4ADA) in collaboration with UNESCO and the city of The Hague to offer a guideline and reference for future discussions on Accountability in the Digital Age. The THGP may form the basis for the development of instruments on regional, national and international level to uphold Accountability in the Digital Age. I4ADA assumes that adopting the principles will be done on a voluntary basis. On Friday June 1st 2018 the I4ADA organized the first public consultation of these concept THGP with the delegates of the Summit. The aim was to assess if these concept THGP would offer value to the global discussion on Accountability in the Digital Age. The overall assessment of the delegates was that a set of principles would indeed support this discussion. Below you will find a link to the pdf of these concept THGP as presented on June 1st2018. The I4ADA, as the custodians of the THGP, has now taken upon itself to organize further public consultations on the concept text. The objective of the public consultations is to gain feedback on the concept text. We invite the global multi-stakeholder community to provide their input. In addition to the online feedback option, I4ADA will aim to organize offline public consultations. The public consultations will be open till the Summit scheduled for H2 2019. The feedback and results of the public consultations will be posted on this website. The Hague Summit will focus on safeguarding the role of the internet as a tool for personal, professional, and social engagement. IADA is taking concrete steps to increase access to knowledge, evidence-based trust and measures to foster accountability. The goals are to facilitate transparency, a common understanding, and thus to promote maximum sustainable net benefit for people and societies worldwide. The Hague Summit will be a 2 day conference bringing together a global multi-stakeholder community from national and local governments, international policy makers, civil society, NGOs, the ICT industry and platforms, as well as other relevant Organizations and institutes. The delegates conclusions and recommendations will contribute to shaping a global path towards responsible policy. Together our aim is to foster accountability in and for the digital age. The agenda of the conference will be announced around the Summer. Our work is only possible with the continued financial support of donors and partners. If you want to become a supporter of the I4ADA, please contact us. Bussemaker has been working in the International ICT industry since the 80s. He is focused on linking Information Technology, Innovation and Impact. Since 2010 he has been the Secretary General International Relations of CIONET. A network of over 6500 Digital Leaders cross industry and across Europe and South America. He is responsible for the relationship with international institutes like the European Commission. He is the initiator of the Global Digital Leader Alliance linking over 20.000 Digital Leaders from the China, Europe, India, Japan, Russia, South America and the US. He participates in international workgroups of the European Commission developing eSkills and eLeadership. He sits on the advisory board of a number of (international) organizations including the Association for Computer Machinery (ACM), the Global Industry Council of the International Federation for Information Processing (IFIP), an UNESCO based organization, Digital Africa, the WCIT2010 (Amsterdam), WCC2012 (Amsterdam), WCF2104 (Xian), the FSRoundtable FinTech Ideas Festival (San Francisco) and the AAID and AID Institute. He has organized numerous international IT related conferences including the WCIT2010 where he was the program director. He is a regular speaker and chair at international IT events and has spoken in Australia, China, Europe, South Korea and the United States. He has an MSc from Delft University. 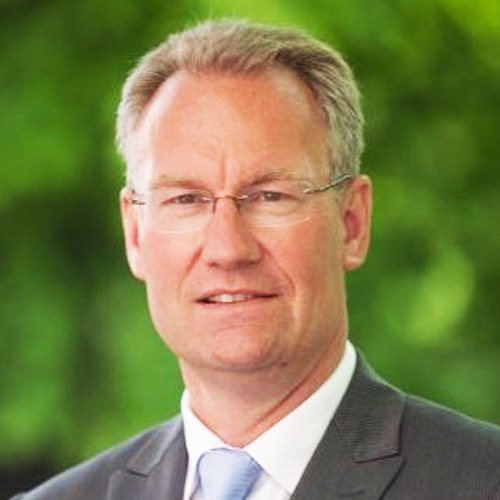 Michel Rademaker is the Deputy Director of e(HCSS). He has a degree in Transport and Logistics, which he obtained at the University of Tilburg. He has fifteen years of hands-on experience as an officer in The Royal Netherlands Army, where he held various military operational and staff posts and also served a term in former Yugoslavia. After leaving the armed forces, Mr. Rademaker went on to work at the Netherlands Organization for Applied Scientific Research (TNO) as a project and program manager and senior policy advisor for ten years. As NATO RTO project leader, he and his team developed new serious gaming assessment methods for defense. He has conducted several assessments of security technologies, including disruptive forms, and worked on numerous strategic security topics. He has written several book chapters, and numerous research reports and articles. 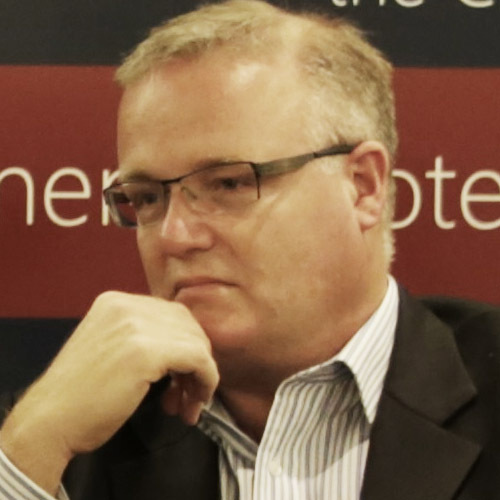 He served as secretary of the pilot joint venture TNO Clingendael Centre for Strategic Studies for three years and is one of the co-founders of its successor, HCSS. At HCSS he is responsible for business development. He is particularly interested in setting up multistakeholder projects on new and upcoming security and politico-economic themes. For example, he and his team supported the development of the Dutch national security strategy and crisis management exercises. Mr. Rademaker was also an initiator of The Hague Security Delta, the biggest security cluster in Europe, and continues to lead projects for this cluster. His fields of expertise include security strategy, policy, concepts and doctrines, technology surveys and assessments, and serious gaming techniques. He also initiated the RMS Platform, where his fields of expertise include the geopolitical and economic security implications of raw materials and energy supply, and the development of policies. He frequently acts as moderator in workshops, as a trainer, as guest lecturer at various universities and speaker at conferences, and as a commentator in news media. 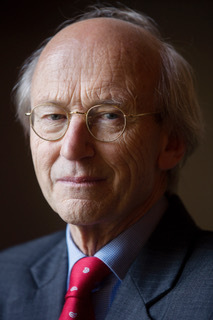 Arthur van der Wees, LLM studied and obtained his doctorate degree in computer and internet law, societal and human values, IP/IPR and business law at Leiden University. He is founder and managing director of Arthur’s Legal, an international law firm with its headquarters in Amsterdam and offices in Brussel, Barcelona, New York and Seoul. Arthur is admitted at the bar of Amsterdam, standardization expert, entrepreneur, strategist, technologist and frequent speaker worldwide and has in-depth experience and is well-connected in the world of technology, data, algorithms, accountability & global business. Arthur is founding member of the Alliance for Internet of Things Innovation (AIOTI), where he is leader of both the Security in IoT and the Privacy in IoT taskforce, and co-chair of the AIOTI Policy WG. He is (co-)author of many publications about these and related topics, including the IERC Handbooks 2016 (Strategic & Legal Challenges in IoT) and 2017 (Security, Privacy & Accountability in IoT), the Dutch National Smart Cities Strategy, and European Commission’s Cloud SLA Standardisation. He is co-founder of CloudQuadrants on the maturity of cloud offerings, the Cyberchess Institute which landscapes the real-life cybersecurity arena, the Cyber Trust Institute which sets trust trajectories and orbital requirements and parameters for technology-as-a-service, the Institute for Next Generation Compliance which promotes the restructuring and automation of compliance and related procurement, and the iLabs Zapplied Institute that offers state of the art and dynamic security, privacy & data management certification of IoT and other digital ecosystems. Through Horizon2020’s CREATE IoT, Arthur’s Legal is activity group leader on trust, security, safety, privacy, legal and accountability topics in IoT in five EU large scale pilots on smart healthcare, smart society, wearables, smart farming, food safety and autonomous vehicles. One of his other ventures is Zapplied Platform, based in Amsterdam and New York, which combines cloud technology & artificial intelligence with knowledge & deal automation and social collaboration. He has been active in the development of projects and policies that explore the potential of ICT and Internet technologies for societal applications since 1987. At the end of the ‘80s he was involved with implementation of integrated online office environments facilitating new ways of working together within an office environment. In the 1990s, his focus was on making best use of technologies to make effective work possible at other locations than the office alone (telework), starting with a telework pilot for the Dutch public service and ultimately by promoting the debate at European level as Scientific officer for the European Commission. Since then his focus moved to include dependability of networks, security of networks and information systems, privacy and data protection, and subjects relating to Future Internet and Internet governance, including Internet of Things. 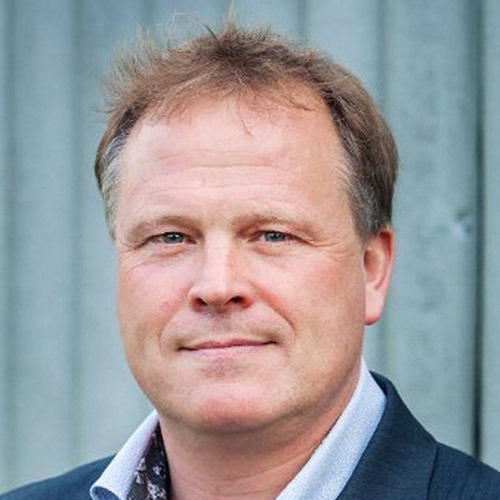 Maarten Botterman is Director of GNKS Consult and active in global Internet development issues, currently acting as Chairman of the IGF Dynamic Coalition on Internet of Things, and Chairman of the Supervisory Board of NLnet Foundation. He has been fascinated by the interaction between (internet) technology and society and spent most of his career in “getting the best out of it”. 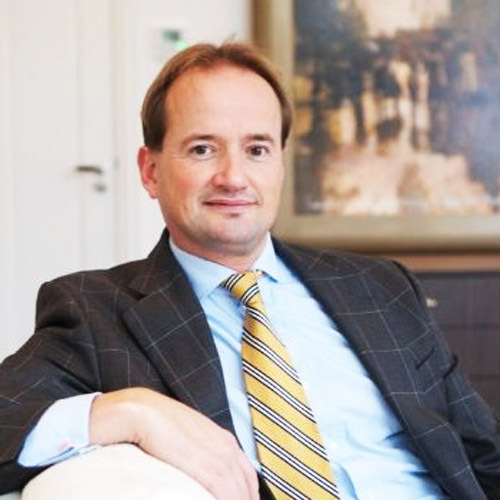 Maarten has been actively involved with ICANN since 2008, when he joined the Board of the Public Interest Registry. Since 2006, he has been actively involved in EU policy on RFID and Internet of Things, in a series of projects, most recently as partner in the EU sponsored project Smart Action responsible for the policy aspects of IoT developments. With the DC-IoT he has presented a statement on IoT Good Practice Policies for the global meeting of the 10th IGF in Joao Pessoa, Brazil, November 2015 . Aimee van Wynsberghe has been working in ICT and robotics since 2004. She began her career as part of a research team investigating the network variables related to surgical robots in Canada at the CSTAR (Canadian Surgical Technologies and Advance Robotics) Institute. She has since shifted her focus to address the ethical issues related to robotics and ICT in society. 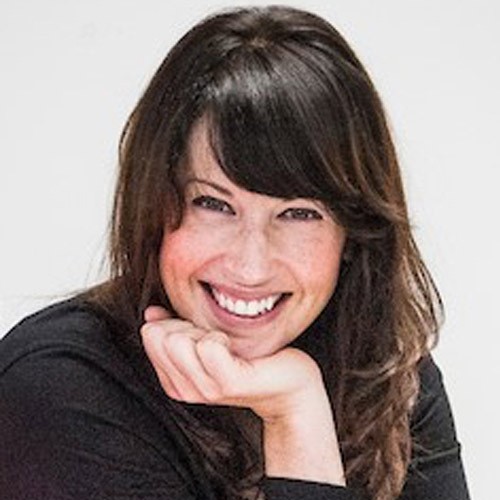 She has worked as ethics advisor for a telematics institute named CTIT (Center for Telematics and Information Technology) at the University of Twente and is currently Assistant Professor in Ethics and Technology and the TU Delft. She is co-founder and co-director of the Foundation for Responsible Robotics and is head of the 4TU Center for Ethics and Technology robotics taskforce. She serves as a member of the Advisory board for the AI & Intelligent Automation Network and has been named one of the Netherlands top 400 influential women under 38 by VIVA. She is author of the book “Healthcare Robots: Ethics, Design, and Implementation” and has been awarded an NWO personal research grant to study how we can responsibly design service robots. In 2017 Aimee was named one of the 25 ‘women in robotics you need to know about’. She serves as ethics adviser for multiple Horizon2020 projects, has been interviewed by BBC, Quartz, Financial Times, and other International news media on the topic of ethics and robots, and is invited to speak at International conferences and summits. Hans Franken is one of the pioneers of information law in the Netherlands. After ten years practicing law as a barrister and judge in the district court of Rotterdam, he started his academic career in 1977 as a professor of jurisprudence at the Erasmus University Rotterdam that was continued as a professor of jurisprudence at Leiden University, where he developed the combination of law and information technology. He was Dean of the Law faculty in 1995 – 1998. Next to the academic activities he was a well known arbitrator and mediator in ICT-cases and chairman of the Association for conflict resolution in ICT-cases (SGOA). Hans was a member of the State Council (1984-1987), the Social Economic Council (1988 – 2004) and from 2004 to 2015 he served as a member and vice-president of the Senate of the Netherlands. He was also a member and chairman of the Dutch delegation in the Parliamentary Assembly of the OSCE and the Council of Europe. He published several books and more than 300 articles in scientific journals and is a member of the Royal Netherlands Academy of Arts and Sciences (KNAW). His preferred subjects for research are the legitimacy and effectiveness of law and governance and the effective protection of human rights in the information age.